One hundred thousand years ago, at least six different species of humans inhabited Earth. Yet today there is only onehomo sapiens. What happened to the others? And what may happen to us? ABOUT 1 3 . 5 BILLION YEARS AGO, MATTER, energy, time and space came into being in what is known as the Big Bang. The story of these fundamental features of our universe is called physics. About 3.8 billion years ago, on a planet called Earth, certain molecules combined to form particularly large and intricate structures called organisms. The story of organisms is called biology. About 70,000 years ago, organisms belonging to the species Homo sapiens started to form even more elaborate structures called cultures. The subsequent development of these human cultures is called history. Of all the human developments described in Sapiens, which one do you think was the most significant in the course of our history? By what measures is homo sapiens the dominant species on planet earth? Which was the most surprising fact or assertion that you came across while reading the book? Did you disagree with any of Harari's arguments or interpretations? Do you think that the major world religions are comparable to 'shared mythologies' such as nations, corporations and currency? When does a mythology become a reality? Humankind has only been present for a minute fraction of planet earth's existence  do you think that our civilization will retain its current position in centuries to come? While Sapiens: A Brief History of Humankind wouldn't be possible without the innovations and discoveries of our predecessors, it is also a book which proves that it is not beyond the abilities of one man to distill such a huge expanse of history into a single articulate and highly readable volume, even if such a process at times necessarily lends itself to sweeping generalization and a certain oversimplification of statement. Harahi's fierce, almost iconoclastic independence of mind is very much in evidence. He is not afraid to put forward his own interesting — if sometimes overly radical — theories about our past and our possible future. By debunking some deeply held evolutionary myths, he makes us question everything we thought we knew about the human story. (Reviewed by Sinéad Fitzgibbon). An absorbing, provocative history of civilization…packed with heretical thinking and surprising facts. 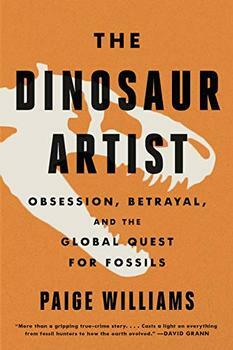 This riveting, myth-busting book cannot be summarised…you will simply have to read it. Not only is Harari eloquent and humane, he is often wonderfully, mordantly funny. Engaging and informative…. Extremely interesting. The sort of book that sweeps the cobwebs out of your brain…. Harari…is an intellectual acrobat whose logical leaps will have you gasping with admiration. Harari's account of how we conquered the Earth astonishes with its scope and imagination…. One of those rare books that lives up to the publisher's blurb...brilliantly clear, witty and erudite. Writing with wit and verve, Harari…attempts to explain how Homo sapiens came to be the dominant species on Earth as well as the sole representative of the human genus… Provocative and entertaining. Starred Review. This title is one of the exceptional works of nonfiction that is both highly intellectual and compulsively readable… a fascinating, hearty read. Starred Review. An encyclopedic approach from a well-versed scholar who is concise but eloquent, both skeptical and opinionated, and open enough to entertain competing points of view.…The great debates of history aired out with satisfying vigor. Harari can write…really, really write, with wit, clarity, elegance, and a wonderful eye for metaphor. Here is a simple reason why Sapiens has risen explosively to the ranks of an international best-seller. It tackles the biggest questions of history and of the modern world, and it is written in unforgettably vivid language. You will love it! In Sapiens, Harari delves deep into our history as a species to help us understand who we are and what made us this way. An engrossing read. 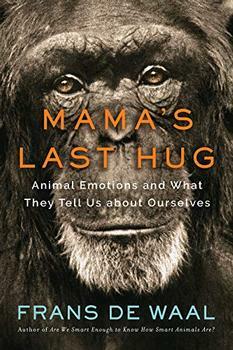 New York Times best-selling author and primatologist Frans de Waal explores the fascinating world of animal and human emotions.